PYOGENESIS - WAVES OF EROTASIA 20TH ANNIVERSARY EDIT. (DIGI-BOOK) | Online Shop | Wizard LTD. Album: "WAVES OF EROTASIA 20TH ANNIVERSARY EDIT. 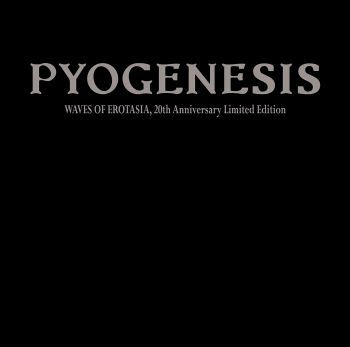 (DIGI-BOOK)"
20 years after the initial release, the master piece ‚Waves Of Erotasia‘ will be reissued by PYOGENESIS in an amazingly exclusive packaging. Two of the five bonus tracks are original demo recordings from 1992, the other three are breathtakingly new arranged and recorded by a string quartett. - An amazing velvet-Digipak with embossed cover. - A pale shiny black inner paper card. - A special-color printed booklet.